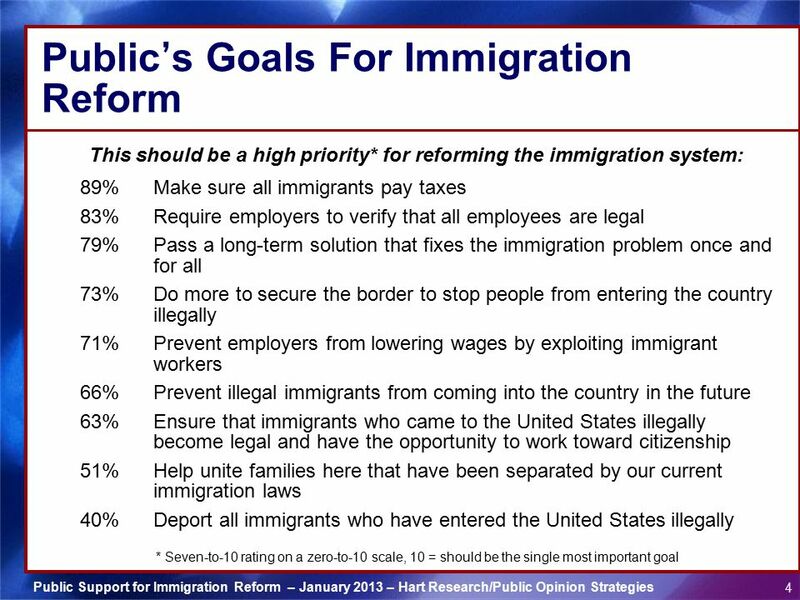 9 With which statement about immigration do you agree more? 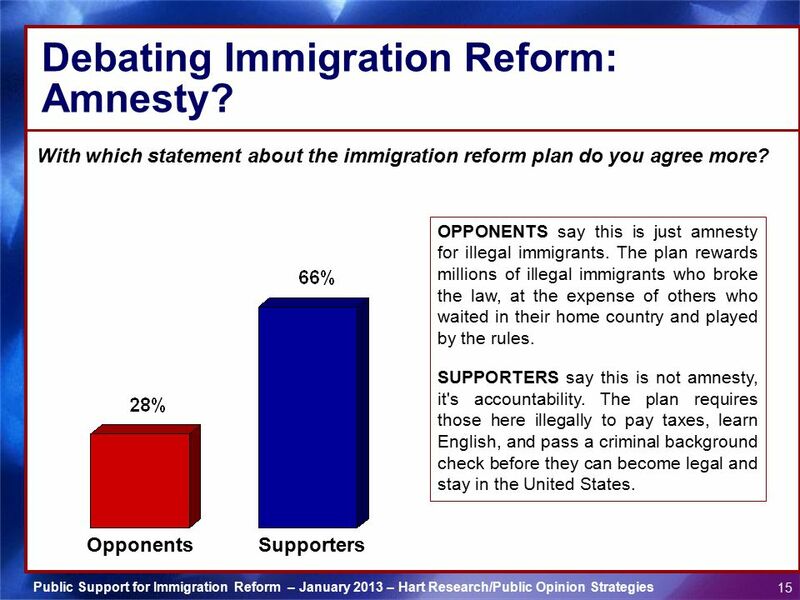 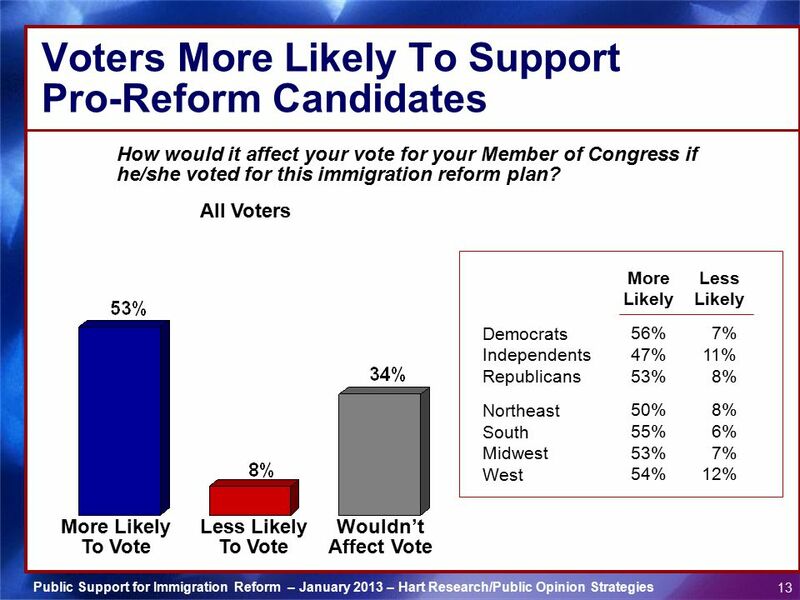 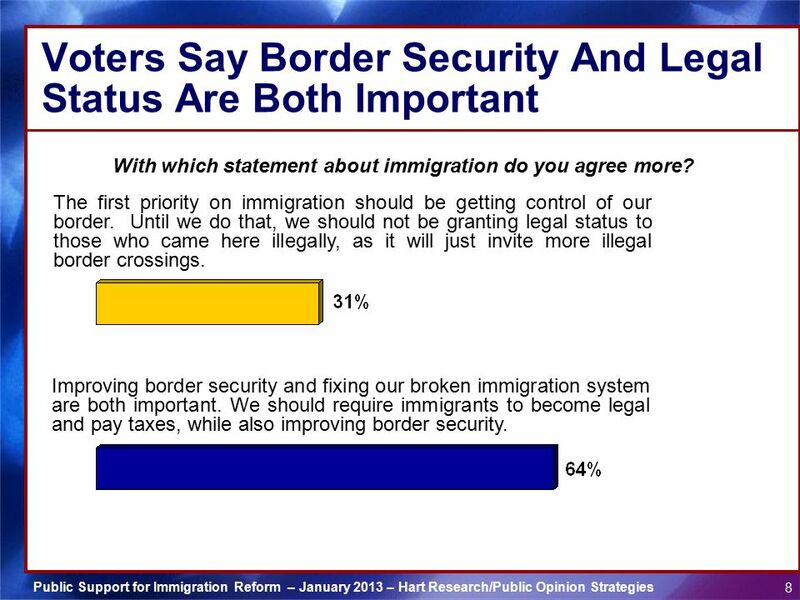 15 Debating Immigration Reform: Amnesty? 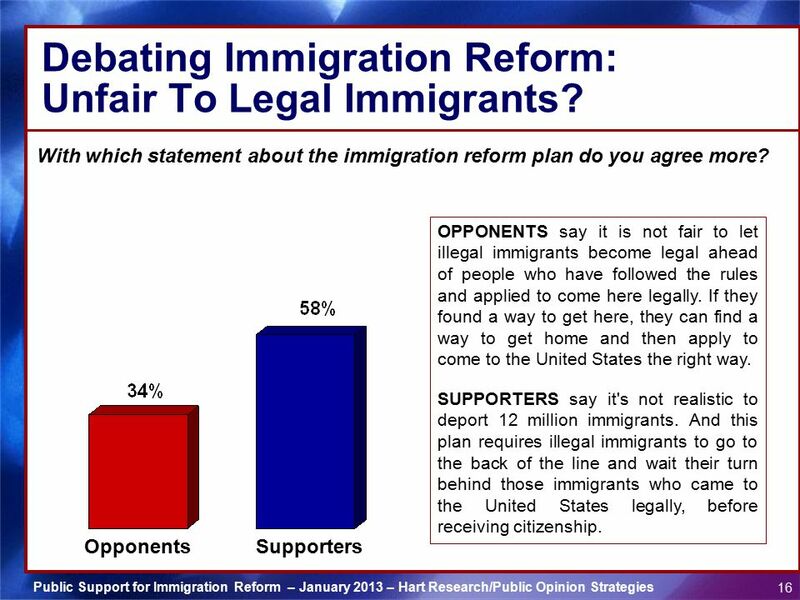 16 Debating Immigration Reform: Unfair To Legal Immigrants? 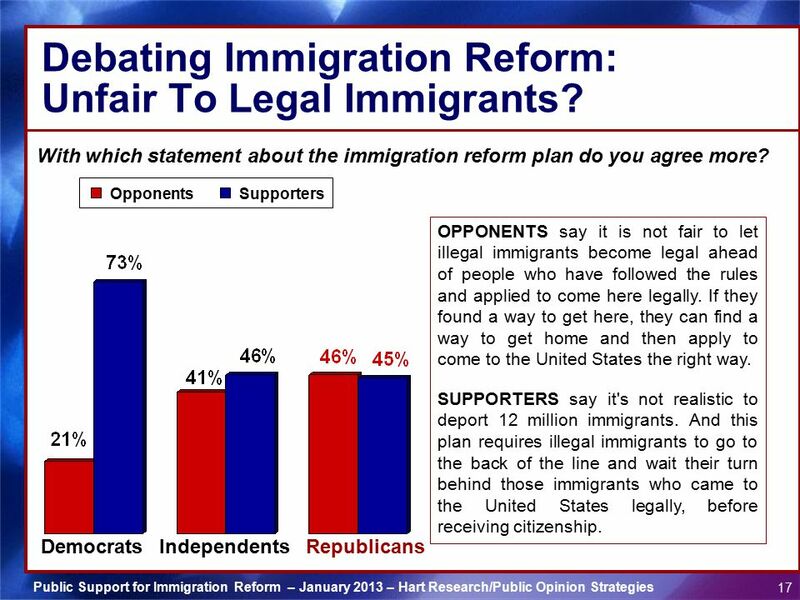 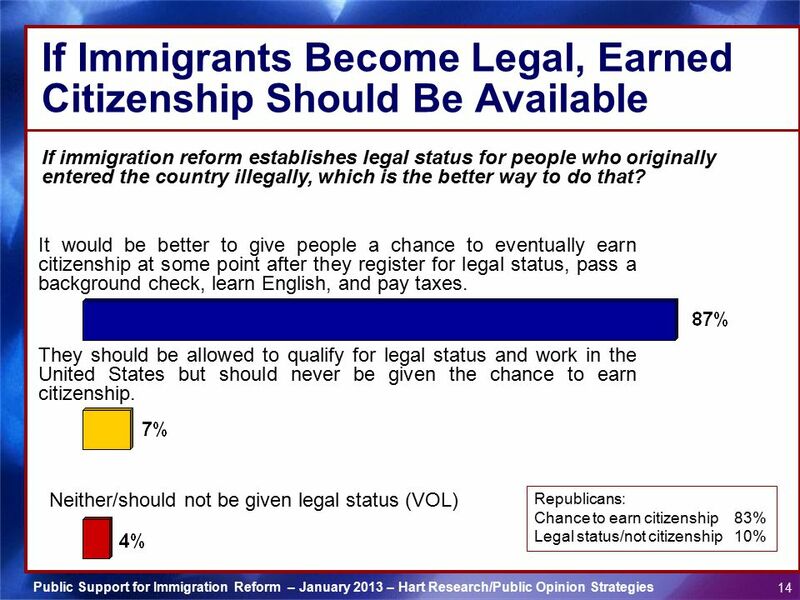 17 Debating Immigration Reform: Unfair To Legal Immigrants? 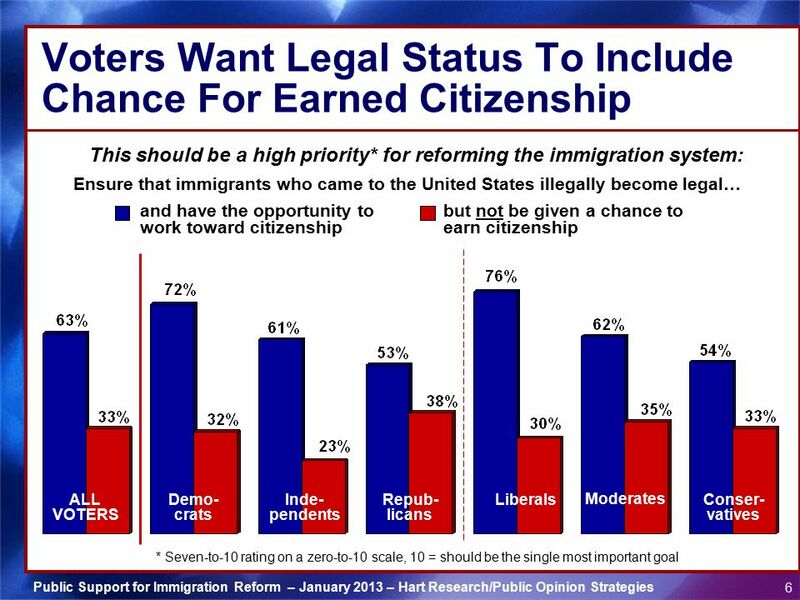 Importantly, an opportunity to earn citizenship is on the table, and can achieve bipartisan support as part of a comprehensive plan to fix the immigration system. 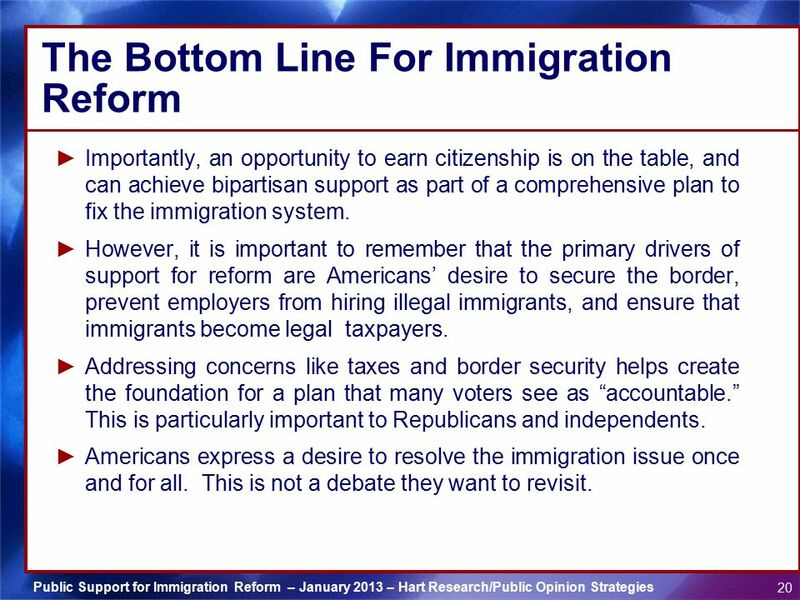 However, it is important to remember that the primary drivers of support for reform are Americans’ desire to secure the border, prevent employers from hiring illegal immigrants, and ensure that immigrants become legal taxpayers. 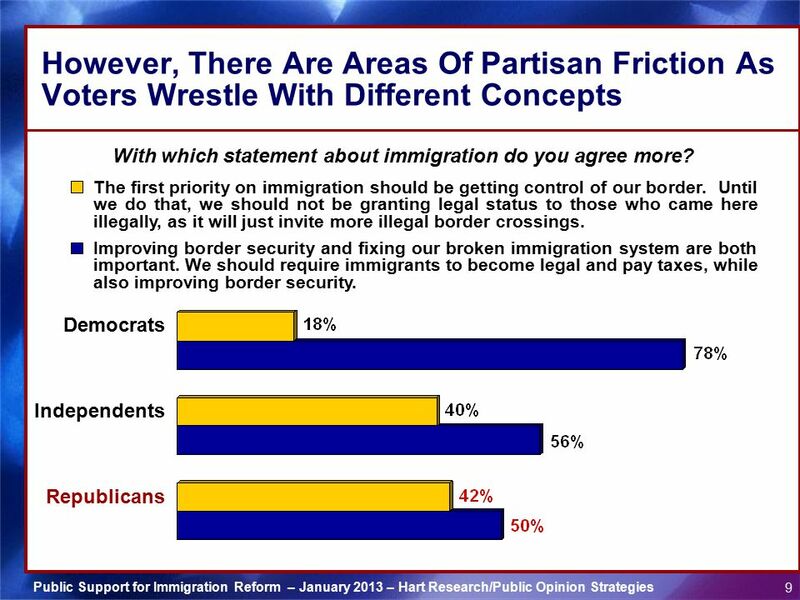 Addressing concerns like taxes and border security helps create the foundation for a plan that many voters see as “accountable.” This is particularly important to Republicans and independents. 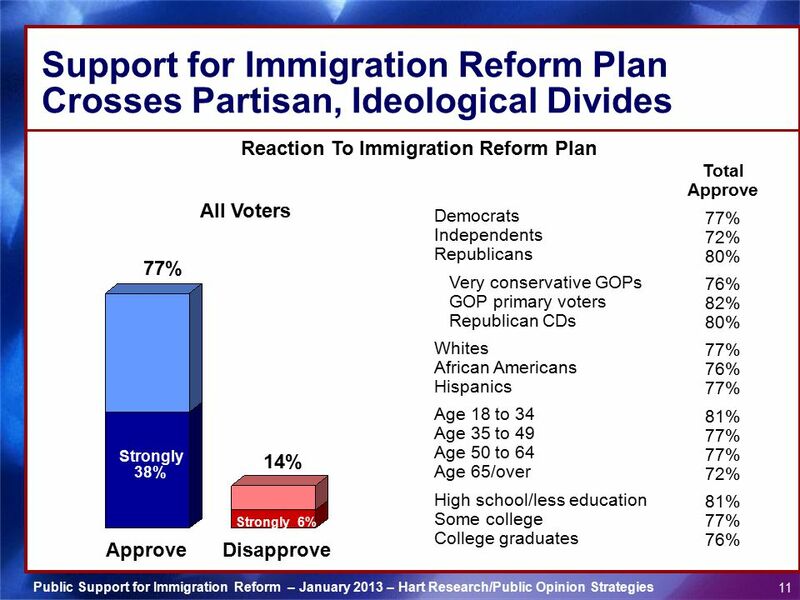 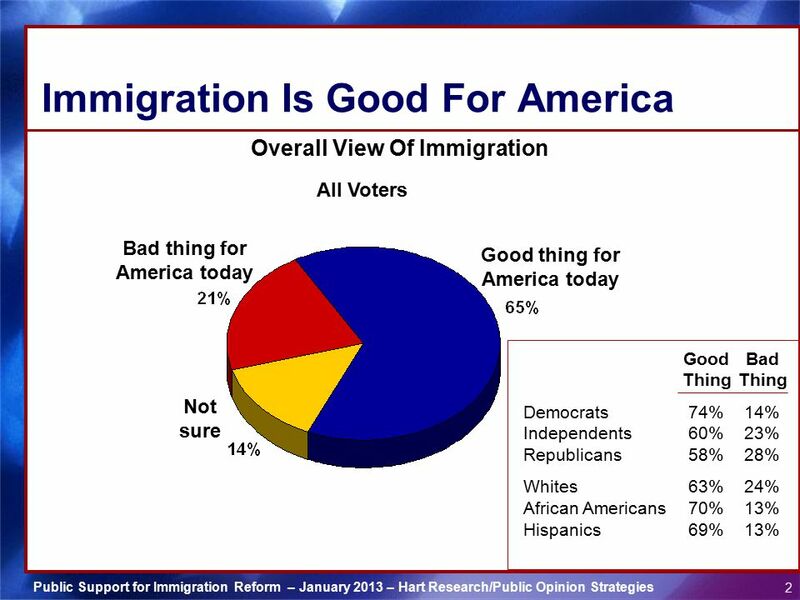 Americans express a desire to resolve the immigration issue once and for all. 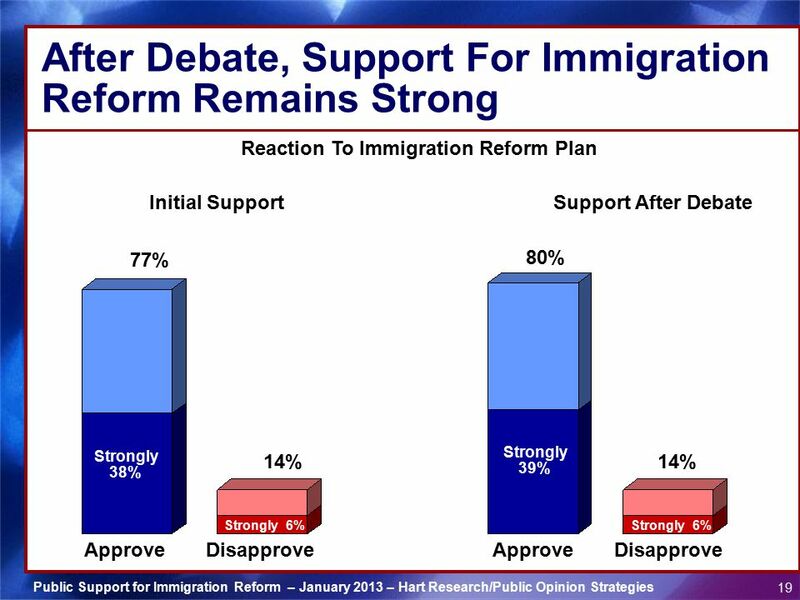 This is not a debate they want to revisit. 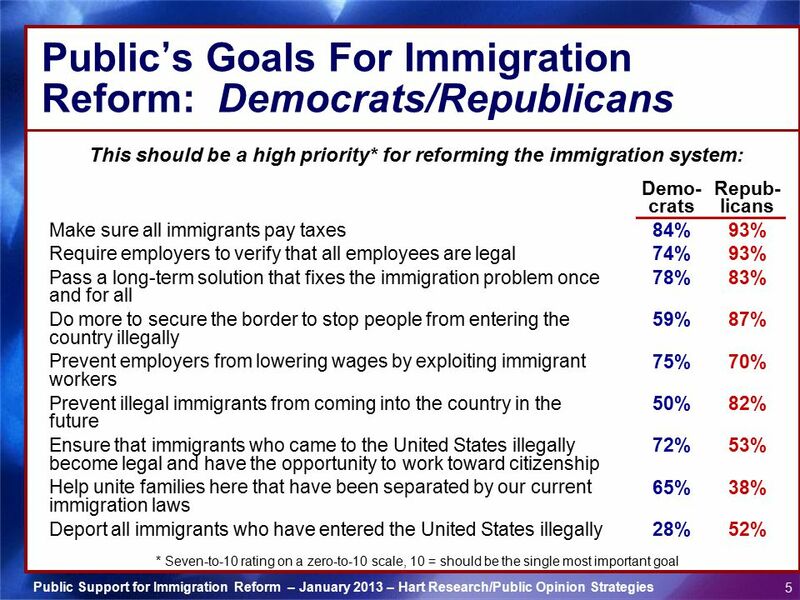 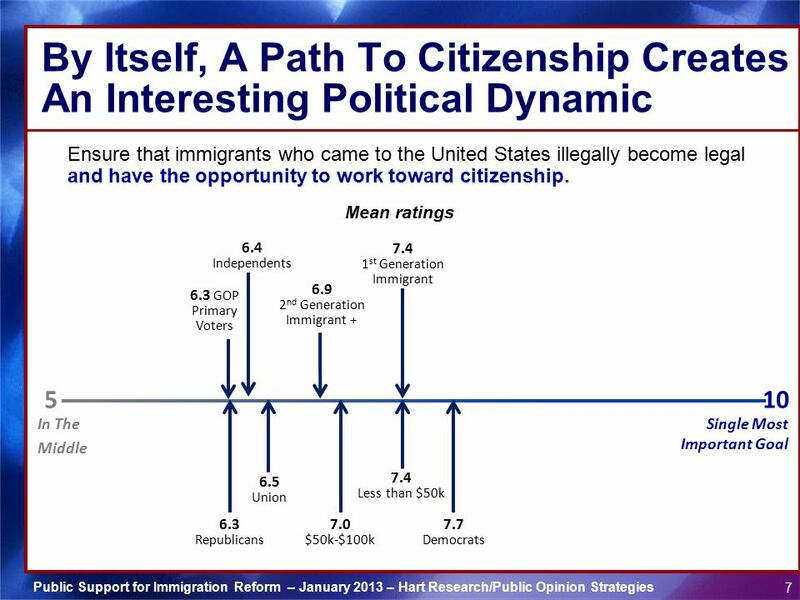 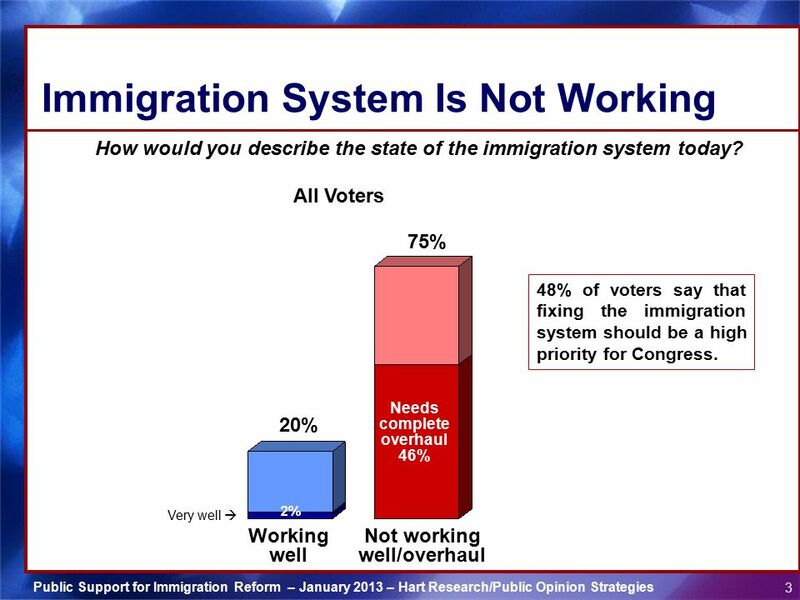 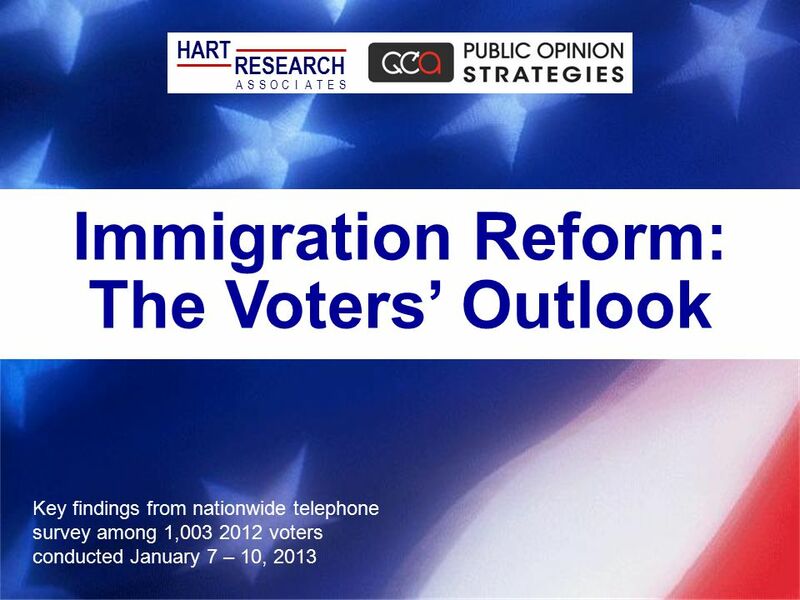 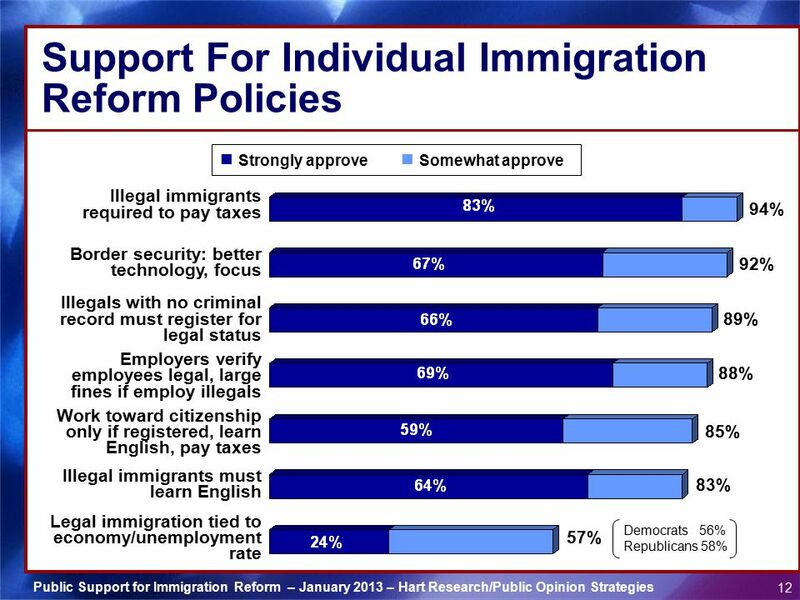 Download ppt "Immigration Reform: The Voters’ Outlook"
Americans Knowledge, Experience and Attitudes Regarding Hunger Key findings from an online survey among 1,509 adults in the United States Conducted February.